The village of Moengo located in the Marowijne district has all the ingredients to apply the concept of art and sustainability. The presence of the huge amount of kaolinite, a clay mineral locally known as Pimba, makes it possible to use this material for the making of art and building material. 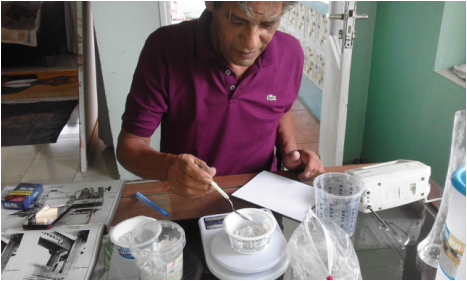 From my own research, I have discovered that metakaolin (Hydrated kaolin) is suitable for casting and manufacturing building blocks. 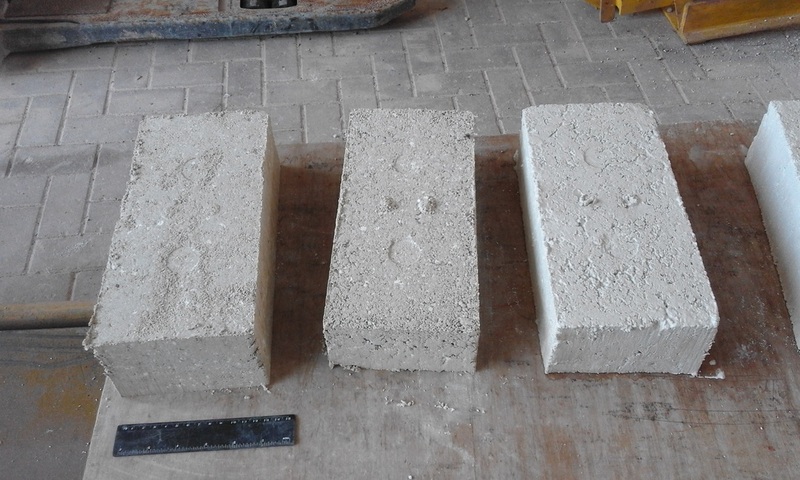 My recent explorations of sustainable design over the past 4 years, prove that kaolien is useful for making durable construction blocks and casting with less cement. This technique may not be innovative as it has been used since ancient times. To some extent innovative enough for Moengo and Suriname. A work of art made from local material, green and sustainable. During the set up of this pilot project I've purchased a ceratec brick press machine. 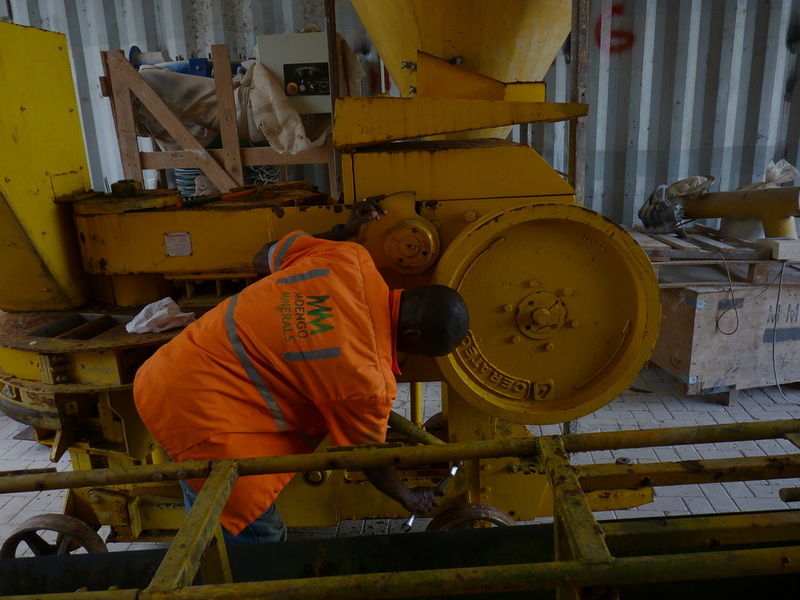 This mechanical Belgium brick machine is capable of producing 1400 blocks per hour. 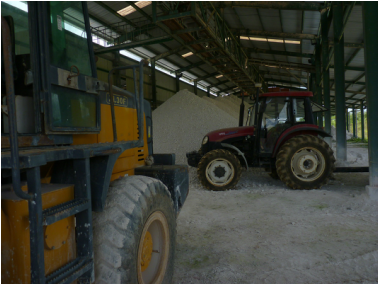 Moengo Minerals, a local Kaolien factory, will be our partner in this project. They will support this project with heavy duty equipment and their knowledge of metakaolien.